Below is the list of some best smartphones in the market in the year 2015. Owning one of these smartphones won’t ever let you down. If budget isn’t your limitation and you desire to buy the best smartphone in the market, then the Samsung Galaxy S6 Edge is the smartphone for you. It offers the best performance and is one of the stylish smartphone. Apple!! Aren’t you dying to own one. iPhone 6 comes with super quick & smooth performance and an awesome camera experience. It is definitely one of the best smartphones of 2015. The Moto Turbo is among the best smartphones, which runs on the newest version of Android and has the powerful Snapdragon 805 processor. The advanced hardware of the Moto turbo offers amazing performance and the best value for the money. The Samsung Galaxy Note 4 Edge has of a unique design, i.e. the right edge of the screen is curved and provides quick access to frequently used apps, alerts and device functionality. It is definitely a MUST HAVE smartphone if you are a tech lover. The Motorola Google Nexus 6 is another smartphone which offers high end performance. It has a 5.96 inch AMOLED capacitative touchscreen with 1440 x 2560 pixels resolution. The smartphone is powered by a quad-core 2.7 GHz processor with 3GB RAM. This powerful processor ensures the user gets a quick and smooth performance. The Microsoft Lumia has a 5-inch display with 1080 x 1920 pixels resolution. The smartphone has a quad-core 2.2GHz qualcomm snapdragon processor with 2GB of RAM. It is a pretty decent smartphone and budget friendly too. Micromax’s new Yu Yureka smartphone is the best budget smartphone under 15k. The phone comes with a set of cool features and amazing performance. Full HD IPS display with 80-degree viewing angles and Gorilla Glass 3 provides the phone, protection as well as an elite viewing experience. If you want a phone which can work as phone and camera both, then you must consider buying this phone. 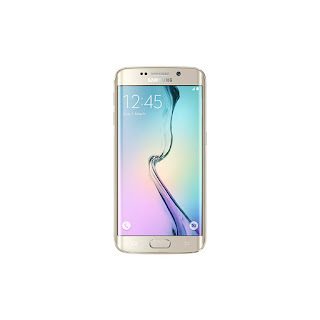 The Samsung Galaxy E5 has an Android 4.4 KitKat operating system and the phone is powered by 1.2GHz Quad-core processor. This makes the functioning, easy and smooth. The Galaxy E5 won’t let down the selfie lovers. The handset has 8MP main camera with Auto focus and flash, and 5MP front camera. So, which smartphone are you going to buy?